D&J Kitchens and Baths Inc.
Sacramento's Leading Kitchen & Bath Design/Build Firm - Best of Houzz! 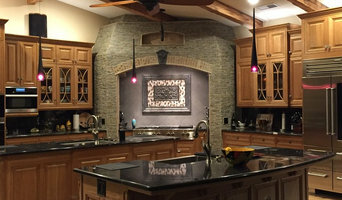 With close to forty years of experience in the kitchen and bath industry as both an associate designer with the NKBA and as a general contractor, Steve Frkovich Casci has learned a thing, or two about design. Steve’s formula for successful projects makes it an enjoyable and easy process for his clients. CDW guides clients through the myriad of design options by breaking down the entire project into smaller parts. This makes it infinitely easier to focus on the specifics at hand rather than being overwhelmed by the whole. In addition to his clients wants, needs and desires, Steve’s focus is function and believes that is where a good design begins and ends. Of course, the successful project is always a result of a great team. Over the years, CDW has developed great relationships with many professionals in the industry including contractors, subcontractors, suppliers and manufacturers. Beginning with a vision, Steve and his clients utilize those relationships to make their dreams come true. Steve welcomes the chance to talk with you about your project and see how he can help. Contact him today! Morse Custom Homes and Remodeling is an award winning, full service, design and build new home and remodeling construction company. We provide creative and unique design solutions for our client's needs. From concept planning, to the final job walk, we professionally lead our customers through the entire design build process with our lead designers, project managers, carpenters, sub contractors, and vendors. Morse employs professional interior designers and space planners, who combine their creative juices and deliver stunning designs that meet the needs and aspirations of our client's objectives. Our in-house project management team consists of highly trained and quality driven carpenters and production managers. Our projects range from site development and new custom home construction to powder bathroom upgrades, and we provide services and finishes ranging from mid to upper scale. If you are in the market for a residential construction project, and want it completed with integrity driven high quality, durability, and timeliness, then contact Morse Custom Homes & Remodeling for the next steps to reaching your goal. Sacramento's Experienced Kitchen & Bath Remodeler- Best of Houzz 2018! As a Team, Rick and Natalie are able to take their separate design and construction sensibilities and collectively unite to create some fabulous Kitchens, Baths and Remodel designs. They have been the sole owners and prime work force behind Interior Focus since 1997. The initial design concepts are handled by Natalie. Once approved, Rick is quickly brought on board for is diverse construction knowledge. Once a remodel is set in motion, a homeowner can take great comfort in knowing that both Natalie and Rick will be by their side for the duration. Every detail is addressed. The success of Interior Focus can be accredited to their ability to work and collaborate together, to communicate ideas to their clients and trades people, their polished technical skills, and their dedication to each project. Only one project is underway at a time so that 100% attention can be given. This utmost commitment has resulted in many satisfied repeat clients who now consider Natalie and Rick their “go-to” Design and Build team. Stockton's Complete Home Remodeling & Design Visit our Showroom! DreamBuilders is a design/build firm specializing in residential interior design and remodeling for kitchens, baths, and whole house projects. Their design studio is located in Rancho Cordova, CA and is open by appointment. The owners are Mike Russell, licensed general contractor & certified remodeler; and Kathe Russell, interior designer, certified kitchen and bath remodeler, and certified aging in place specialist. Together with their staff of dedicated professionals, they have helped hundreds of clients achieve their dream spaces. Ca. license #778630. Based in Roseville, Guchi Interior Design provides expert luxury interior design and remodeling services throughout the Greater Sacramento area. Our mission is to help create beautiful homes one room at a time by offering timeless design that resonates in every project. Every Project is expertly designed and executed with quality workmanship and project management. We only team the top professionals in the industry. Our team of design professionals can oversee every aspect of your project, from concept and design through installation. Our design services extend to every corner of your property, from the front curb to the rear property line, and from ceiling to floor including interior as well as exterior hardscapes. We can assist your immediate needs or help you plan your remodeling in stages over a set period of time. Welcome... I can't believe this is 20+ years of literally playing in this field. I am happy to say, I am still LOVING it! Hello, I am Lisa Pugmire and I am here to assist you with your Design needs. I focus on Kitchen & Bathroom Design but can tackle any room in your home that you want to make smile. I am very proud of My Completed Projects and Client Partnerships! I work very hard to assist My Clients with the Design & Planning Stages so every detail is thought through. I assist with budget planning as well. I want you to have a fully detailed and realistic proposal at hand so you can make the best decisions for your family's project needs. I believe each project is a partnership with the Client and only together can we create beautiful spaces. Please, contact me, so I can set up your Design Consultation! The Home Improvements Group, Inc. The HOME IMPROVEMENTS GROUP, Inc. is a design and general remodeling contracting firm specializing in residential kitchen and baths. Our goal is to create rooms that are ONE OF A KIND, designed specially for our clients. We spend a great deal of time UNDERSTANDING our clients' lifestyle to insure that the design serves them well. And since in nearly all of our projects we act as the general contractor, we are able to follow the project through with high construction QUALITY and within our clients' BUDGET AND TIMEFRAME. The purpose of our showroom is educational...to show you some of the hundreds of components that go into your kitchen or bath to achieve the room that you are seeking. We want to enable you to make the SMARTEST CHOICES from the best possible design concepts, products, and services tailored to your investment range needs, so the finished project is AS PERSONAL AS YOUR SIGNATURE..
*Authorized Wellborn Cabinetry Dealer* Our experience in the building materials industry dates back to 1919, in Lockwood, Missouri. Meek’s has earned the reputation of being a provider of expert services as well as quality building and home improvement merchandise. Today, Meek’s Lumber & Hardware has 12 locations in N. California and W. Nevada with showrooms featuring everything homeowners need -- from foundation to finish! To find the Meek's location closest to you, visit <a rel="nofollow" target="_blank" href="http://meeks.com/western/store-locations/">http://meeks.com/western/store-locations/</a>. Thinking of upgrading your kitchen or bathroom cabinets or creating your dream closet? Are you ready to refresh your home's look and feel with new windows or doors? Meek's is here to help make those dreams become a reality. Come in today and meet our full-time cabinet designers and our door and window professionals. View our wide selection of products available to meet your project needs. Our professional staff is here to help you determine the cabinets, doors, windows and building materials to fit fit your project needs. Our expert cabinet designer has years of experience consulting homeowners and contractors and designing kitchens, bathrooms, closets and more! Our experts not only have answers to your questions, but know what questions to ask to make sure you choose the product that is right for you. Stop in and see us today! I have been in the kitchen and bath industry designing for over 30 years....it NEVER gets old. My greatest asset is being able to visit with a prospective client and "see" that perfect kitchen or bath that they have been dreaming of and planning for, put it to paper, design it, render it and present it to my clients. My greatest joy is seeing the look on their faces when that dream finally becomes a reality! Being able to think outside the box is important in today's ever-changing home space focus. I am in a career that I truly love...there's nothing better than that! Kitchen and Bath Design & Build Company Principal Interior Designer | Tiffany has a degree in Interior Design from Academy of Art, San Francisco, and 12 years experience in kitchen and bath design. From conception to completion, she has experience making your dream interiors come true and guiding you in every step of the process! Construction Manager | Jeff Brown has been a General Contractor for over 20 years here in the Sacramento area. He has completed projects as large has custom homes to the smallest water closet. He, along with Tiffany and their install team will make your project a one stop shop for a complete remodeling experience. Your home should reflect your taste and function for your everyday life! One thing that really does set us apart from the completion is our over a decade of experience when it comes to all types of installation. There really is nothing that we have not seen or done when it comes to installing a new kitchen or bathroom. We really do pride ourselves on doing a great job and know that our skills, experience and high level of professionalism will put you at ease the whole way through your instillation. Many of the big national stores simply do not have the experience that we do and when your brand new kitchen or bathroom is done you will be able to see that you cannot put a price on experience. What is a kitchen designer and renovator? Kitchen designers are experts in kitchen ergonomics, trends, and new products. Using this insight, they can design, build and install your kitchen and custom cabinetry to create a space that is attractive, functional and complements the rest of your home. 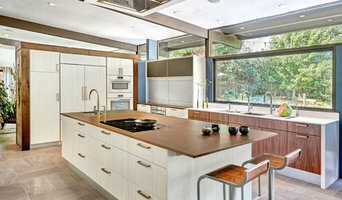 There are many types of kitchen professionals in Sacramento, CA – from cabinet makers, to carpenters and interior designers – and many trade professionals offer a full suite of expertise. Depending on the size of your kitchen renovation, and the kitchen designer, they may also hire contractors on your behalf and manage the project from beginning to end. Here are some related professionals and vendors to complement the work of kitchen & bathroom designers: Kitchen & Bathroom Fixtures, Appliances, Tile, Stone & Benchtops, Joinery and Cabinet Makers, Carpenters. Kitchen designers and renovators will be able to inform you of any building regulations or obstacles with your design, as well as suggest ergonomic kitchen layouts, materials and appliances best suited to your needs. They will kick off the design process by assessing your tastes, lifestyle and budget. For example, do you eat out regularly or need a space to entertain at home? Or, do you want a chef-style kitchen in which you can whip up large family meals? A good kitchen designer or renovator will take these crucial points into consideration. Can I see your kitchen design portfolio? Have you completed any kitchens similar to my brief? How many plans do you provide? How long will the project take to complete? Do you design eco-friendly kitchens? 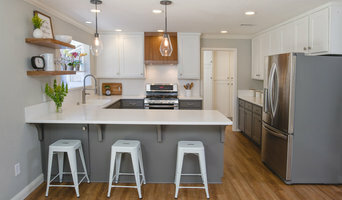 Find a Sacramento, CA kitchen designer on Houzz. Browse the Professional section on Houzz to find kitchen designers in Sacramento, CA. Then, scroll through photos of their latest kitchen renovations and see how their work compares to the scope of your project. You can read reviews to see how other homeowners rate their work, and message them directly to to ask any specific questions. 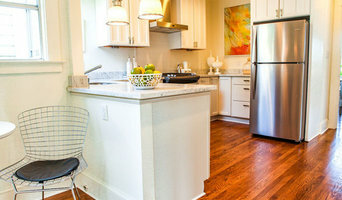 Another way to find a designer, renovator or cabinet maker is to browse Kitchen Photos on Houzz. If there’s a photo you like, find out who designed it and strike up a conversation with the professional responsible.